Afrikanist: Never Settle for Less. It is very natural to be self conservative and it's not natural for one to self criticise but its good to always self criticise because in criticising ourselves we checkmate our success and also know if we are really making progress. So it's good to Criticise a government but if one must criticise a Government it should be Constructive Criticism. I must say that am not writing this post for speculation but because there is an urgent issue that needs attention. Before posting this I was tempted to believe that this post is out of contest of my blog Niche but what then is the Niche of a Blog that talks about Africanism without talking about the Full Humanity of the African Race? Then there is an imbalance. Awka is located in Anambra state(the light of the Nation) and its the Capital of the state.To a great extent its a good Metropolis of Igbo people and there's a Federal Government University located in Awka. I wouldn't say that it's a very beautiful City, its a developing Town.The pictures shown below were take from Ifite road ( one of the minor Roads that lead to the Nnamdi Azikiwe University ) and as you can see the road has deteriorated for years now and Contracts have been Awarded to so many Contractors but still yet the Road is still in bad shape for years and the Local Government is doing barely nothing to Fix the Road. 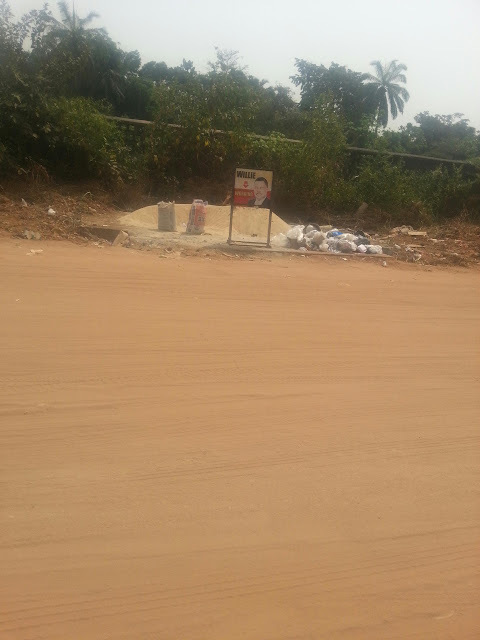 About two weeks ago when I saw a tractor working on the road I felt happy but on a second glance at the Road its easy for one to tell that there's no positive work on going(the tractor was sand filling the Drainages). In a bid of Operation ' light up the state ' all the Drainages on the Road are being sandfilled so that they can easily install the Street lights ( or I don't know the reason for the sandfill ).Now because of the Blocked Drainages ' used water ' which are meant for the Drainages now floods the Road that's why even in this dry season the Road is still flooded . This really pose a great threat to Motorists and Students as it has lead to Minor Accidents. It's a good thing for a Government to provide Street Lights for its citizens but in doing so people's life should not be endangered. 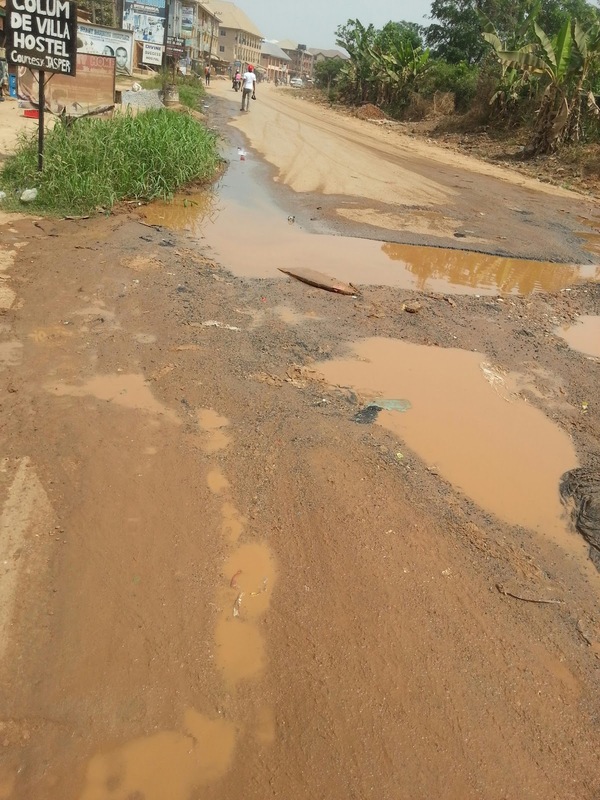 The Ifite Road is too small to be called a Standard ' one lane ' and inasmuch as motorists are struggling to keep in the lane I think there shouldn't be any Obstructions like Refuse Bins and bad pot holes on the Road. Am not writing to Condemn the present Government but to point to them a problem in the State. I believe in telling a Honest and Balanced story & so I try not to always tell a one sided story because it Creates Stereotype. To be honest and have a balanced story we shouldn't forget to Appreciate the Governor of Anambra state for the many Good Works he has done for his people but inasmuch as we are appreciative we shouldn't also settle for less. 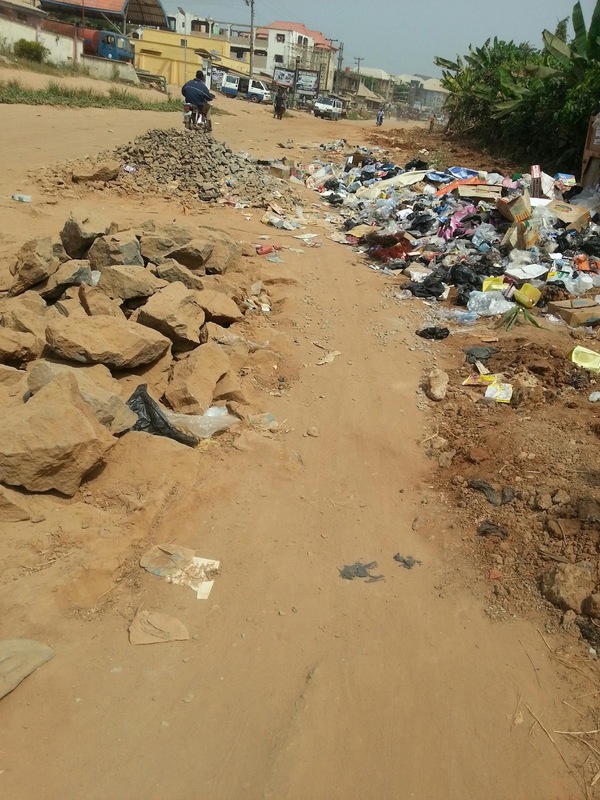 We shouldn't just Criticise the Governor about the Ifite Road without Commending him for the good works that the State Waste Management is doing to keep the State Clean. We shouldn't just Criticise the Governor about the Nice Flyovers in the state without commending him for his wonderful works and how he is making plans for the state to have its own Airport. The Success of a Democratic Government is not in the Rule of the Majority but the Protection of the Rights of the Minorities and these Minorities include the Civil servants who can't afford to buy big Jeeps that can comfortably jump pot holes, low income earners who use public transport to go to their work place and Most especially Students. Am calling on every well meaning citizens and the Local Government and the State Government to look into the issue and provide immediate solution. Thank you.